Happy gaming everyone! This past weekend we at Battlespace Publishing had the honour of presenting four games at the fine Canadian convention Hotlead held in Stratford Ontario. 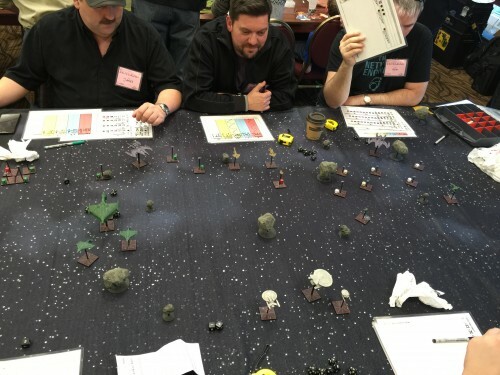 This convention is always a blast and the opportunity to be running two games simultaneously for two straight sessions was exhilarating and tiring. The players that joined us were a pleasure to game with and to talk games development with. Some were returns from last year and many were new faces that walked away with smiles. 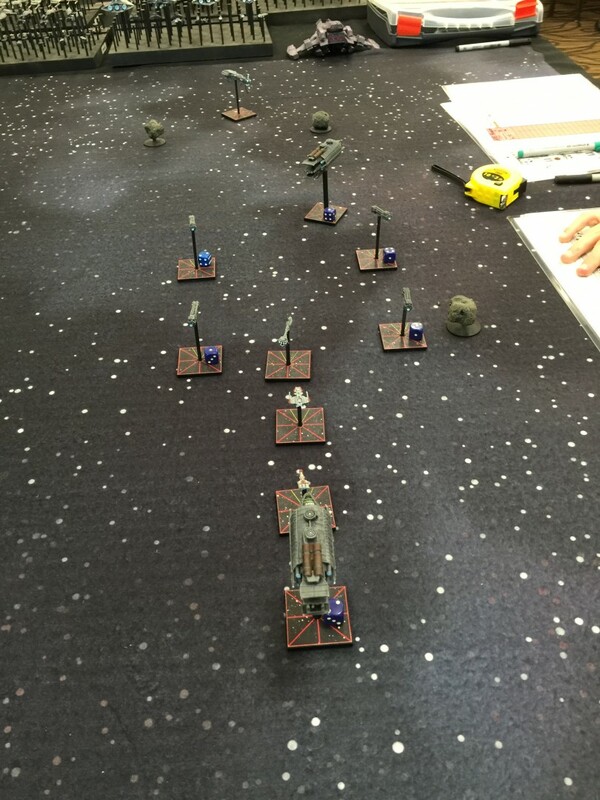 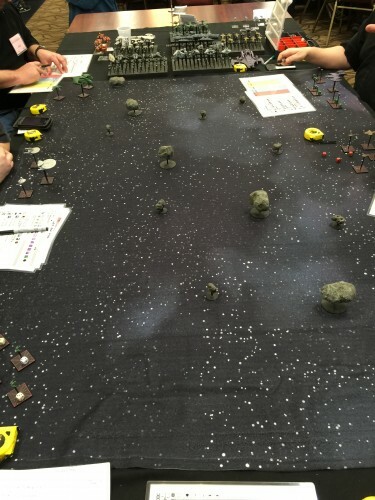 The first Metaverse game was a Star Wars scenario involving an Imperial attack on a Rebel supply convoy. 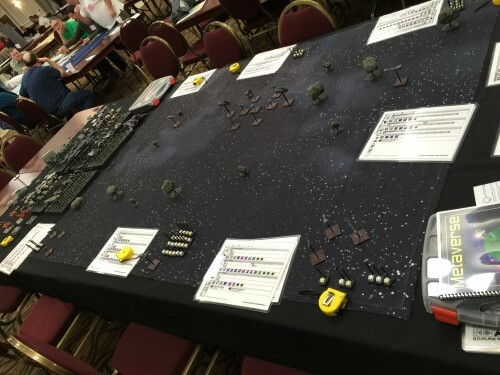 Victory conditions were based on how many rebel freighters and fuel carriers escaped destruction. 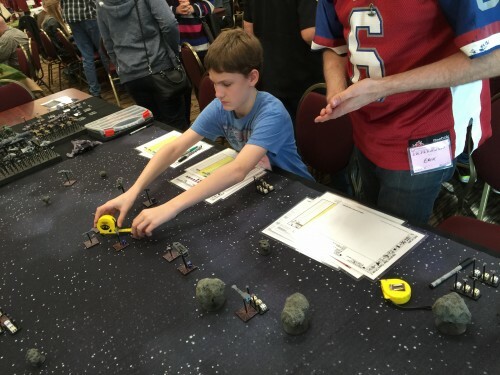 Even the youngest gamers grasped the basics in short order. 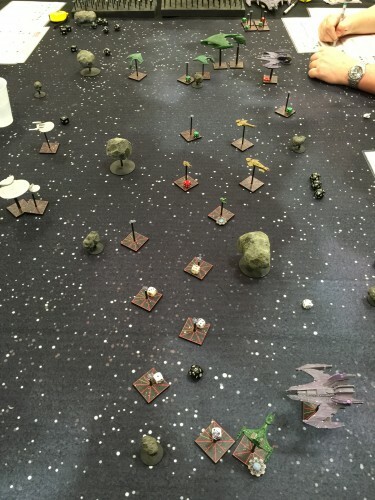 A furball quickly erupted in the centre of the table. 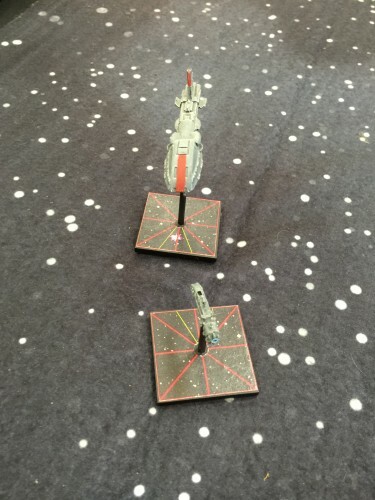 The end of the game saw a brave lancer class facing off against the bulk of an assault cruiser with the expected result. 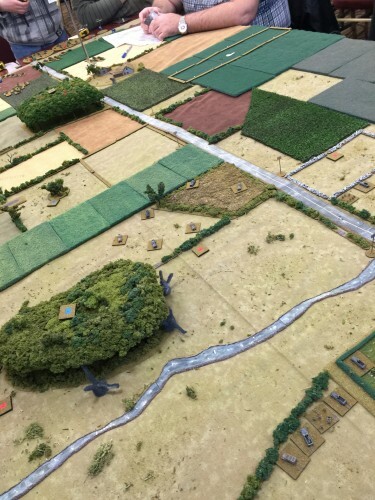 The first Battle Captains game was an attack defend scenario in the summer of 1944. 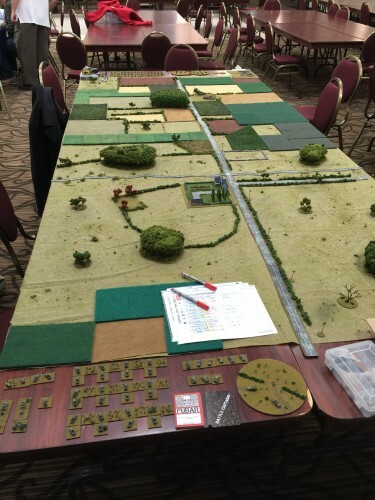 This American armoured infantry company with support would prosecute an attack upon a group of panzergrenadiers. The Germans quickly adopted a defensive position along the stream. 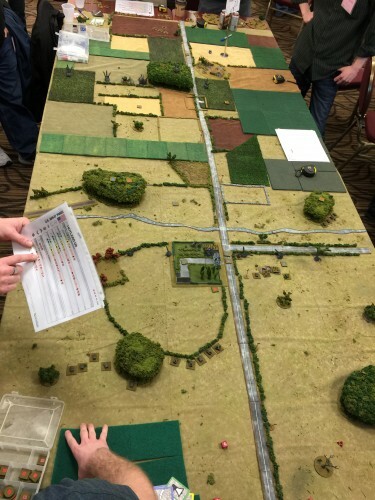 American artillery blasts a woods and eliminates a German platoon. 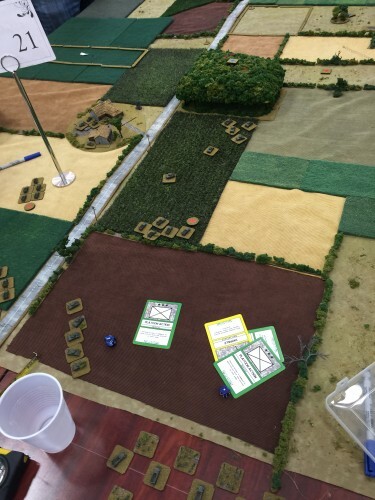 The bulk of the American force advances through the fields to avoid a German minefield. 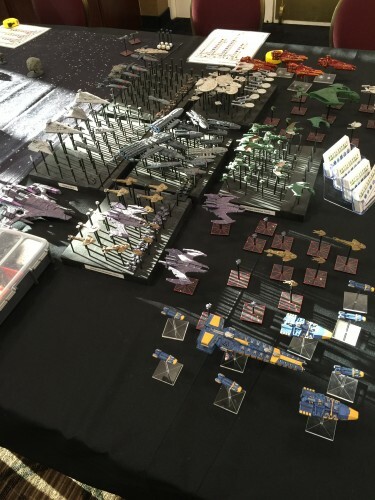 The second Metaverse game was a Dominion war scenario with a mixed Starfleet, Klingon, and Romulan force eliminating a Dominion fleet. 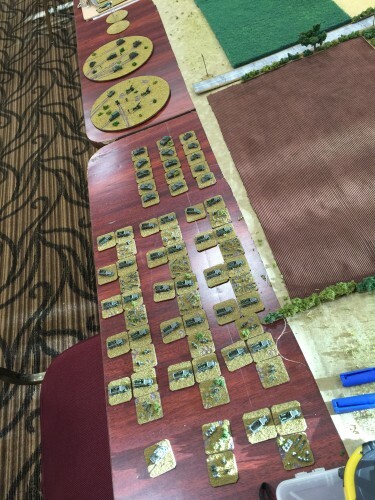 Victory conditions were based on the percentage of losses the allies took in defeating the Dominion. 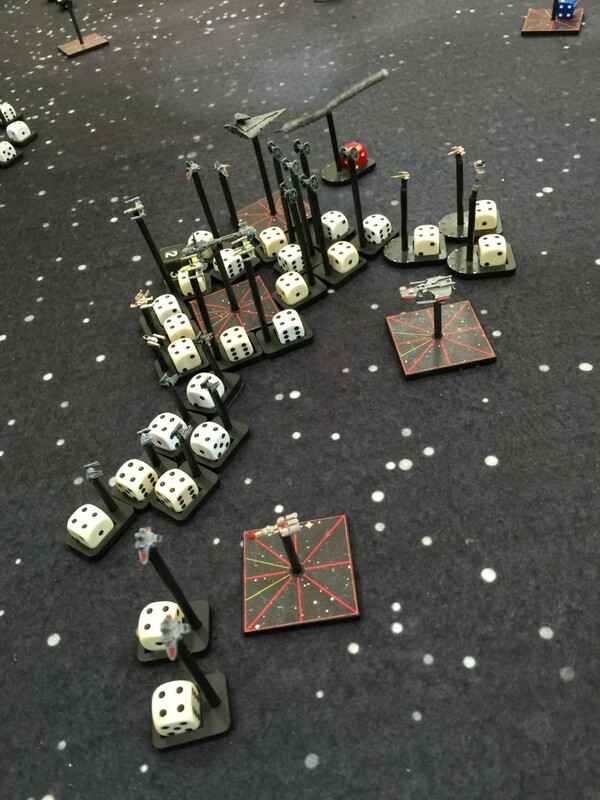 The Dominion players revel in their achievement of landing torpedo hits on cloaked ships. 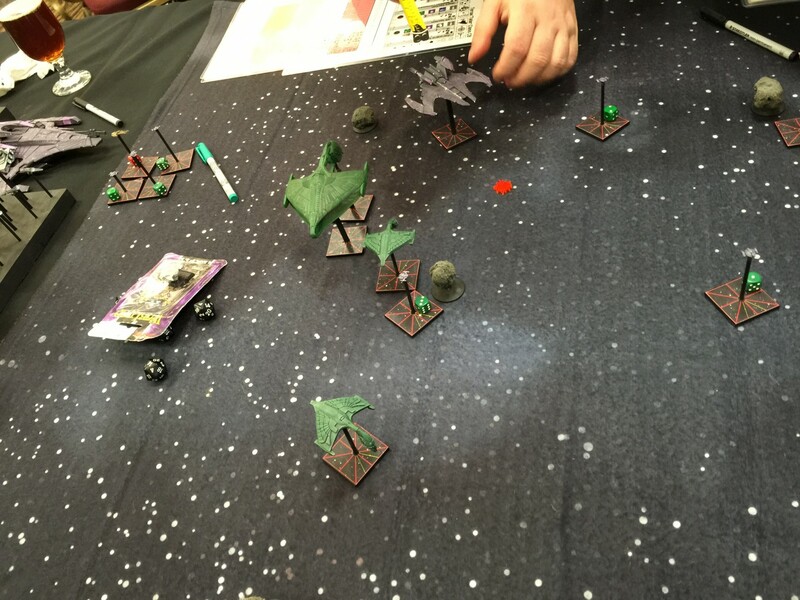 The Romulans close to short range before decloaking. The two sides have entered into a general melee the result of which saw the destruction of the Dominion but the allies exceeding their allowed casualties. 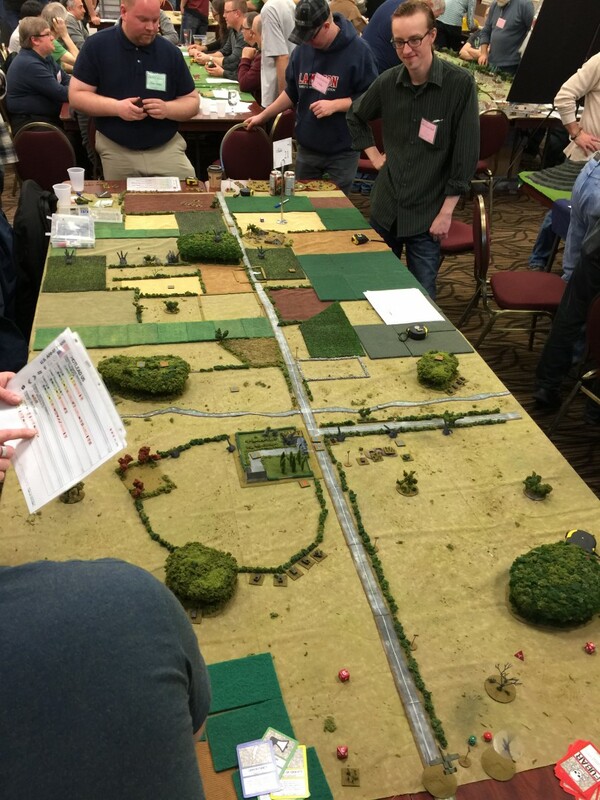 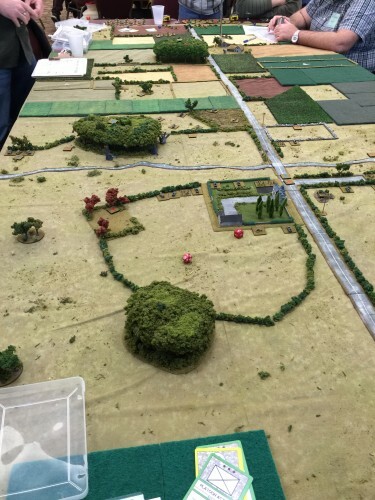 The second Battle Captains game used the same terrain and scenario but used Cold War forces instead pitting Soviets versus Americans. The soviet players try to grasp how an American infantry platoon has withstood constant artillery and air bombardment without breaking for most of the game. With the games completed we took a hard earned rest and contemplated the results. Each game had winners and losers, moments of triumph and moments of despair, and each player walked away with a smile. 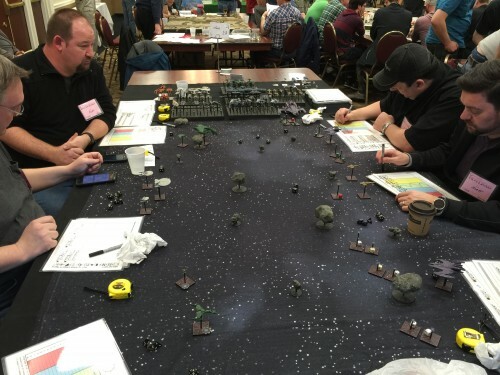 When running a convention game there is no better compliment than both the winners and the losers of a game walking away happy. We are excited to do this again at Hotlead 2017 but for now we are finishing off the Beta phase of Battle Captains and preparing for its release at Historicon 2016. If you are going to be there this year drop by and say hello.